and the winner is…. 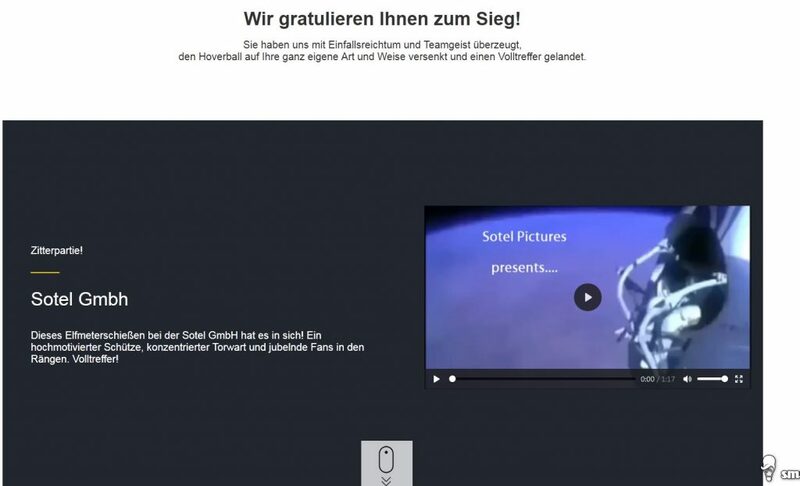 – Blog of sotel.de – the daily life of a online seller and the winner is…. Jabra made a special competition around the soccer worldcup. Every seller received a so called LED hoverball and should film a “funny and historic soccer goal scene”. Well…not that easy with a ball which cant fly!? So invested hundrets of euros into special effects and made the hoverball fly…and did win the competition with two other Jabra resellers. We will get a lot of BBQ stuff now so we can make a winter BBQ i guess. You can see the three winner movies right here. Thanks to jabra!